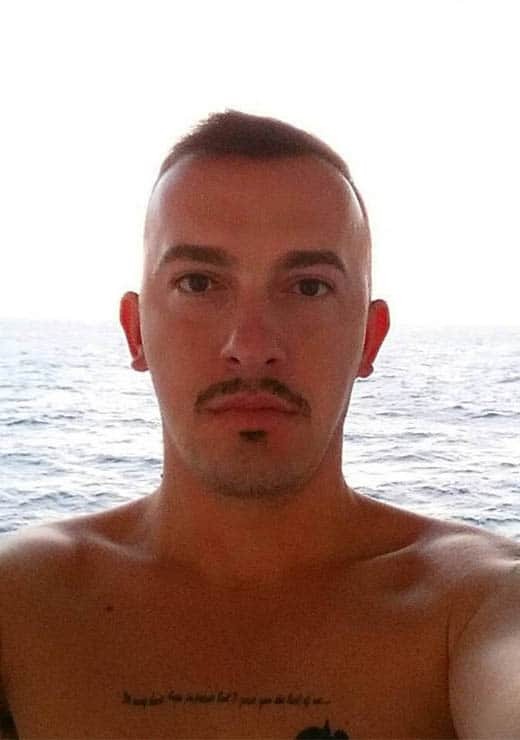 The military haircut is the choicest option for men and you wouldn’t want to be excluded. Professionalism has put a boundary to what kind of hairstyle people in the marine can go with. This is required by the guiding principles, etiquettes and the nature of their job. However, the kind of hairstyle allowed for the men in Marine is the simple and easy to maintain ones. Thus, making it attract men who prefers the clean look. 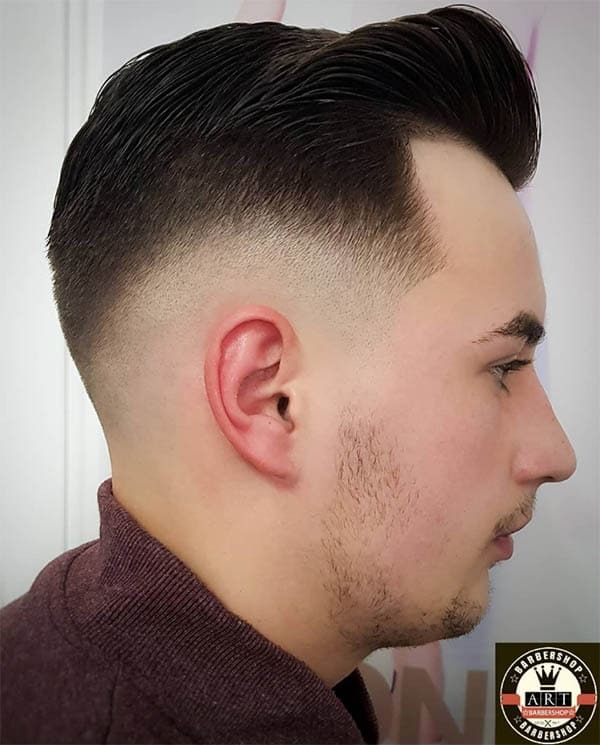 If you had wanted that matured and standard look, you only have to start with hairstyles and the marine hairstyles are the right one to give you the standard and manly look. You can easily manage marine haircut as it does not always involve long locks or any fancy styling. The kind of hairstyle you barb determines your personality. As you should have known that first impression lasts longer, what kind of impression do you give with the hairstyle you just barbed? You wouldn’t want to miss the chance to give the best first impression. 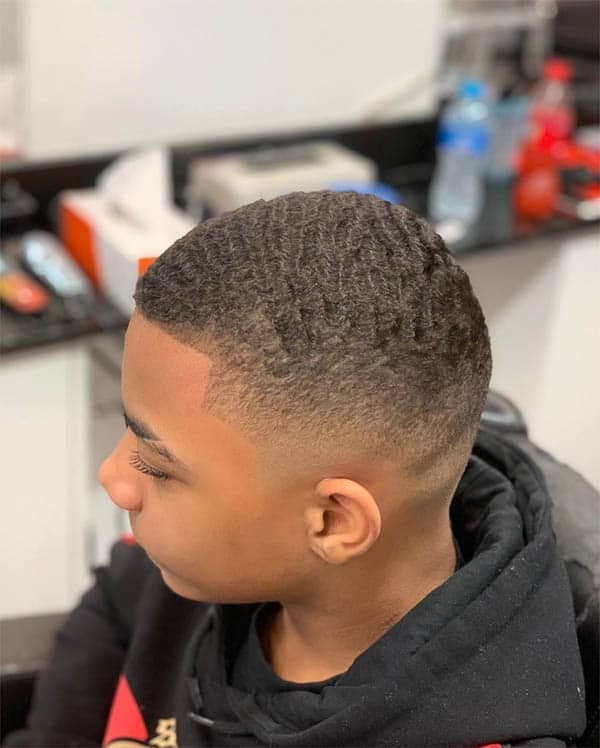 This list gives you some of the best marine haircut for men you can barb on your next visit to the salon. Therefore, stick on and choose your own ‘best-suited’. 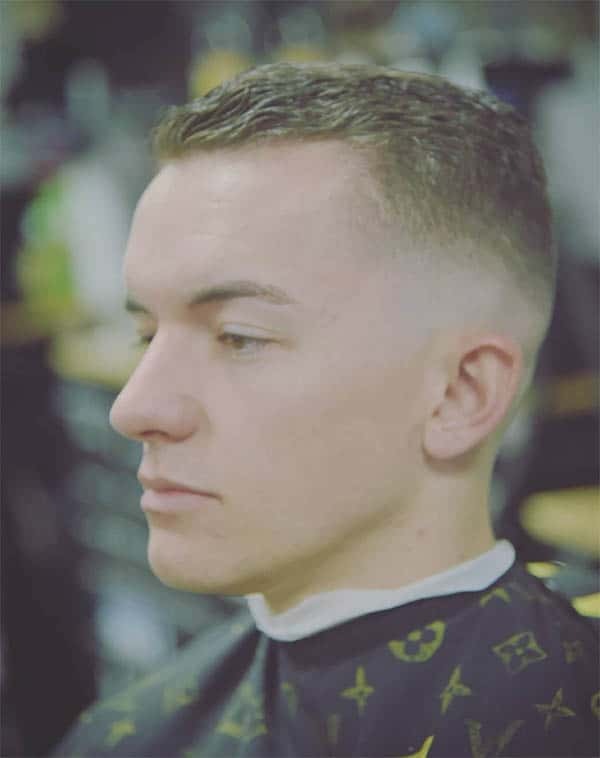 Military move is that marine haircut that gives you a hairstyle that is graded long on top and short on the sides, unlike the Skin Fade, there are hairs left towards the ends but must be in shorter proportion to the ones on top. You should try the Military Move marine cut out today to look smarter and better. 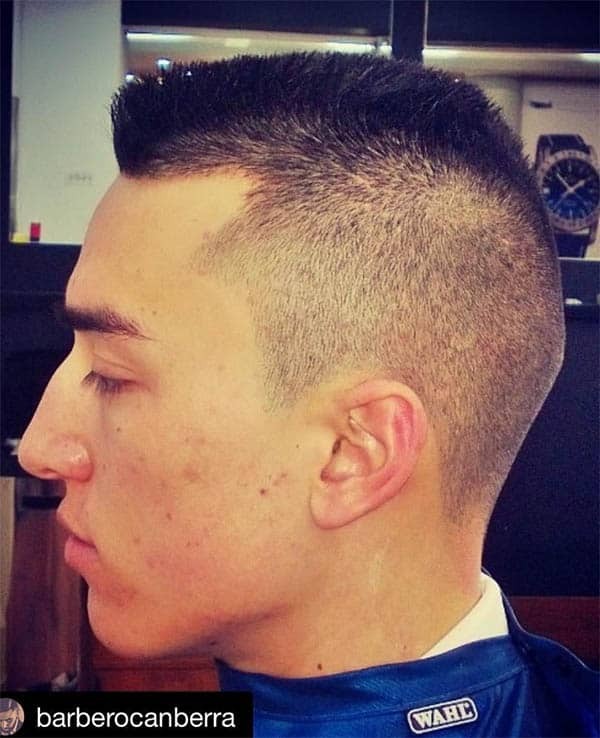 With this marine haircut, you go with a sharp contrasting lesser hair on the sides and the lengthier hairs on top. 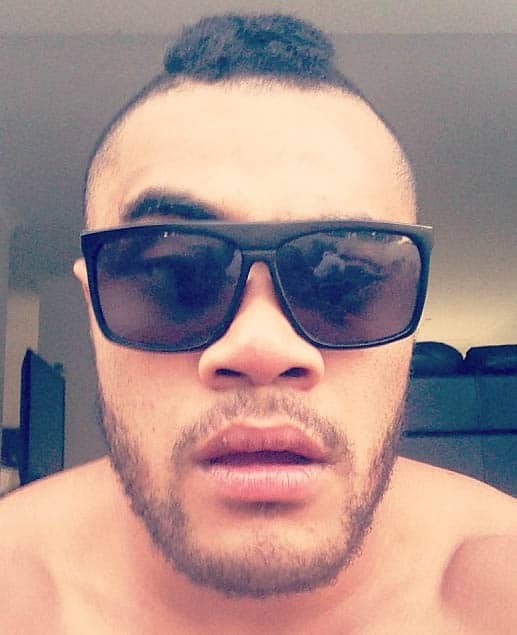 This marine haircut gets more interesting when a V shape is shaved from the temple to the jaws. 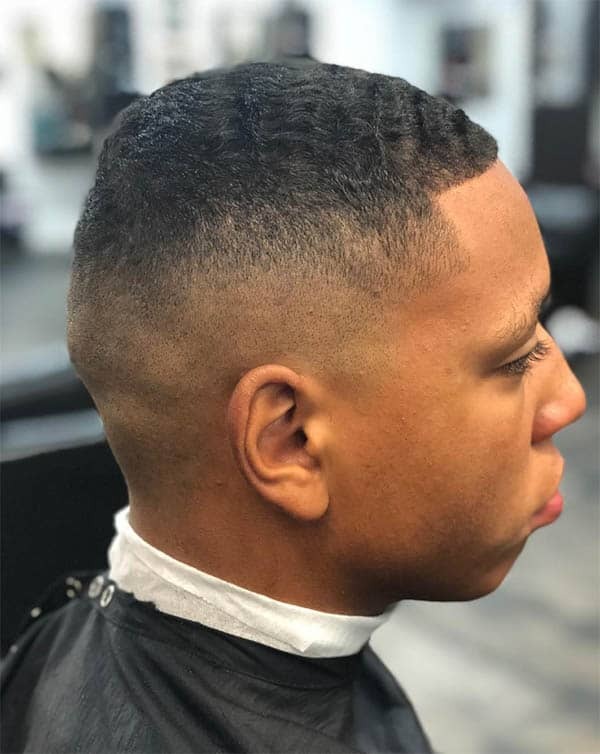 Skin fade is a kind of marine haircut for men that is shaved from front until it gradually blends with the skin and shaved totally towards the back of the head and on both sides. Leaving hair mainly on top of the head. 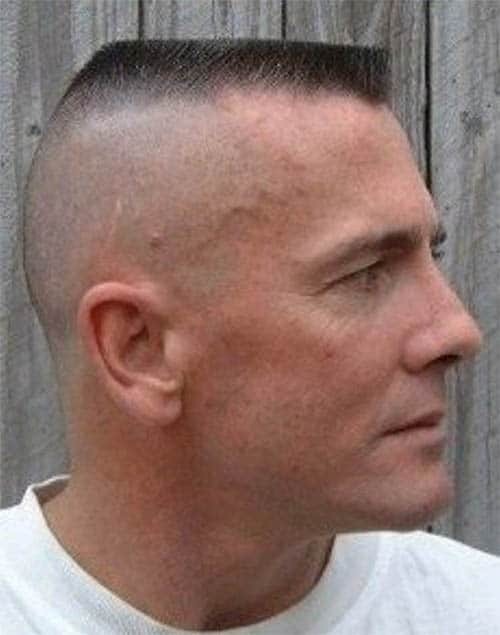 It is a typical marine haircut that would surely make you look smart and reserved. Report for duty is the marine haircut to go for if you want that small, neat wave just above the forehead, this is the right style for you. It is also like the skin fade except for the small lock at the forehead. It is not like the immature hairstyles bearing all dreads and locks. This is another simple and easy to maintain marine haircut. 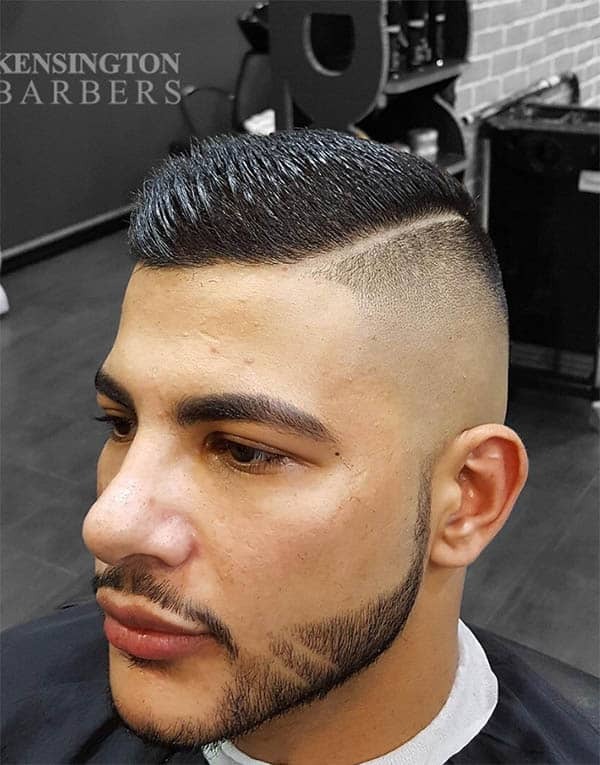 It shortness on the sides is blended to the longer strokes on top to achieve a stylistic yet matured look on men. Try this marine haircut once and see if it suits you. 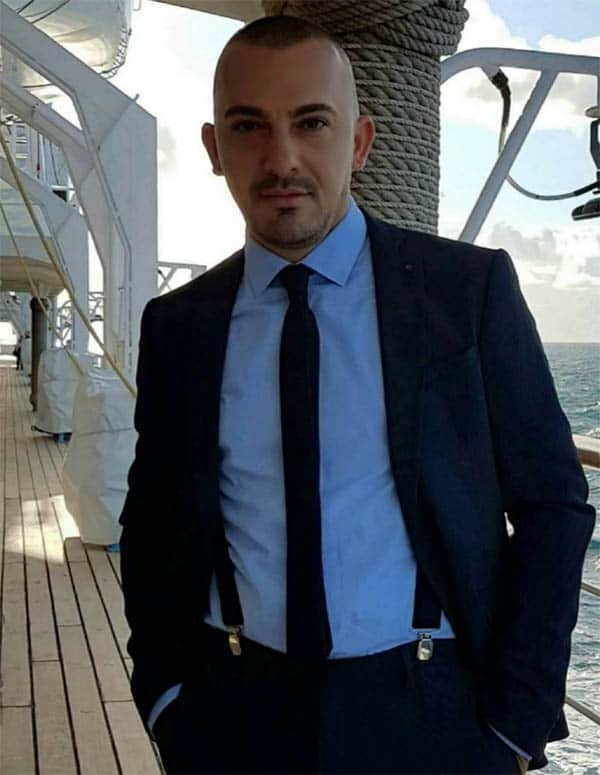 No nonsense is a kind of marine hairstyle that has its sides shaved bald and the hair that forms on the forehead and the head crown is only brushed cut. This marine haircut is simple, does take plenty time to manage and matured at the same time. 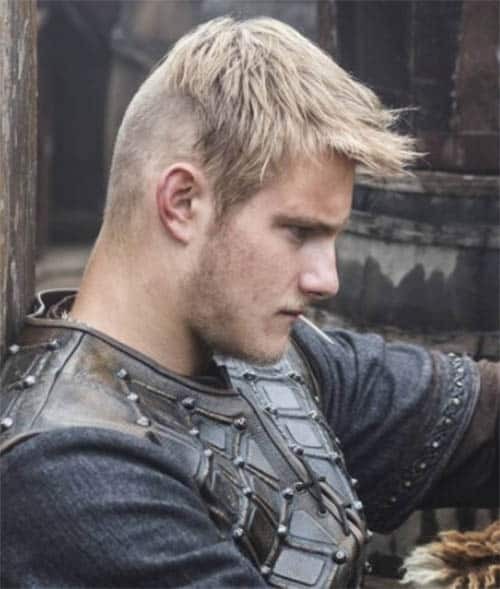 Bristle top is another hairstyle on the recommended for men in the marine. It is a marine haircut that goes with a flat top. The hair is also shaved completely from the sides and the top hair is only brushed over to make a flat like hairstyle on the crown. This type of hairstyle makes you go with a look that leaves only the hair from your temple to the forehead. While the rest is shaved off. This is another hairstyle that is cut all over to give a manly look. It requires an off-center parting and the hair to be neatly combed to one side. The locks are packed towards the back after a semi-haircut. It is another marine haircut you should try out for a smart look. It is easy to maintain and casual, yet stylistic in its own way. 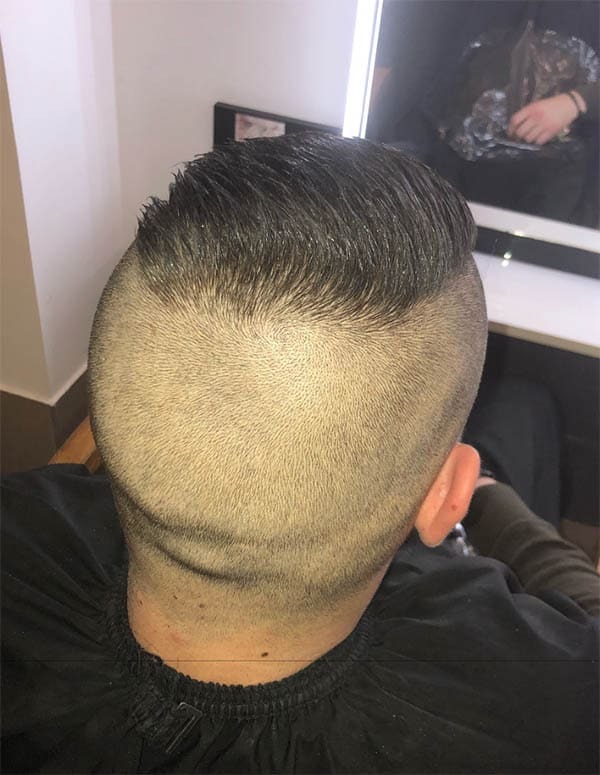 It is popular known as the authentic military haircut. It is a good way to go as a man that want respect. 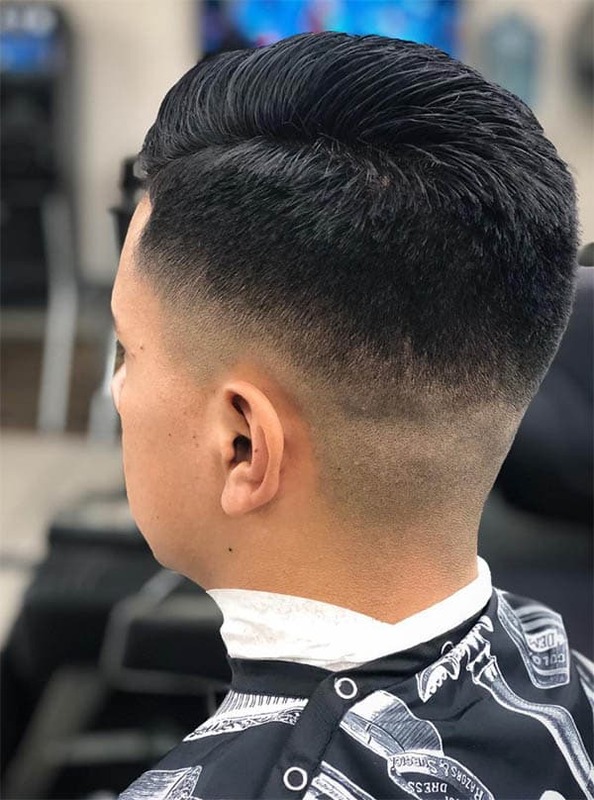 This is a marine haircut that shows a contoured shaped hairstyle with an undercut and a forward-packed hair towards the forehead. This marine haircut is another suitably for natural curly hairs. It fuses together at the forehead and shaved off at the sides. You no longer have to search for the suitable marine hairstyle for your curly hair, because you have Style Soldier at your service. The hair is trimmed into a neat style. 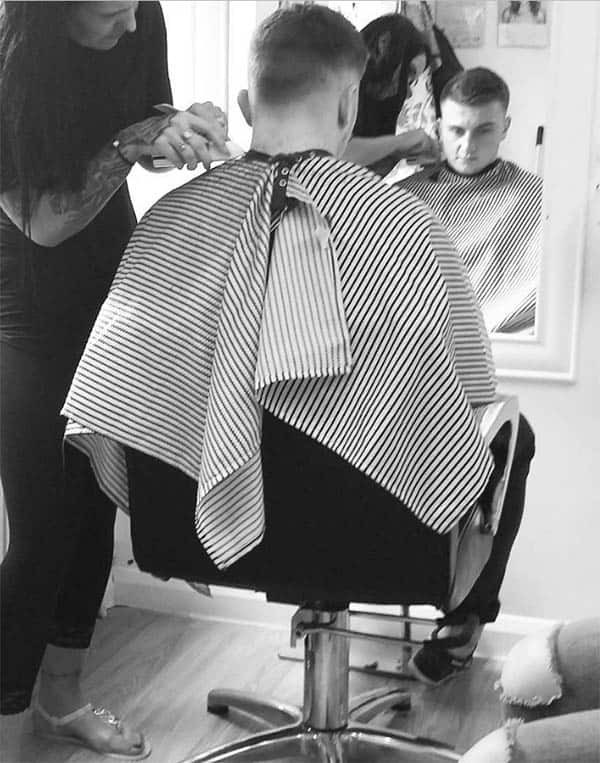 The cut allows the front portion to be long enough to brushed forward. It gives a matured and a look of regard. Try this out and find out how handsome you can actually be. The top hair is cut off flatly, leaving hair on the sides forming a triangular that can be seen overhead. If you are bold enough to go for a unique marine haircut that would make you stand out, then this is the right one to try first. This is another short slicked back marine haircut. It makes a clear fade between the hair and the skin with the locks combed backward. It is that marine that distinguishes boys from men. You would want to try out this marine hairstyle. 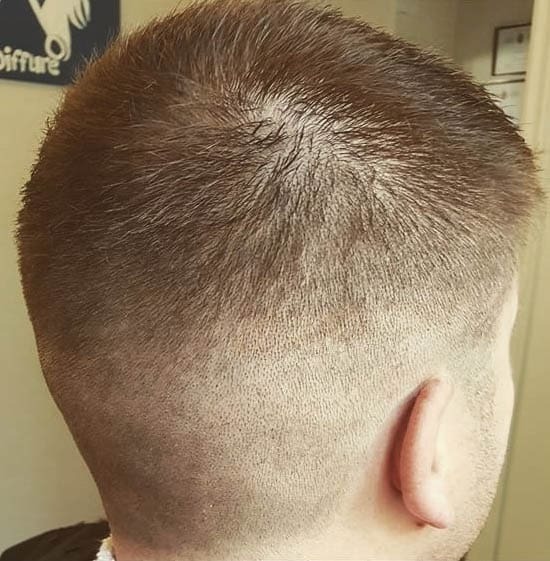 This marine haircut comes out with a shaved short side with a fade side parting on the left. The hair on top is combed to the front and mold into a jelly wave above the forehead. 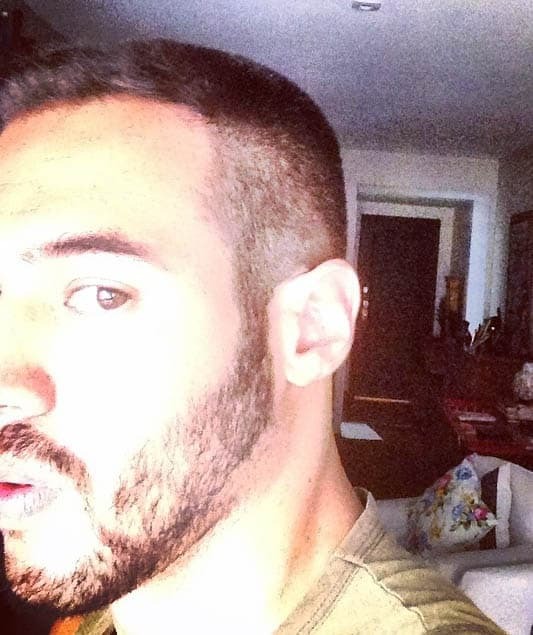 Try out this marine haircut and see how standard it makes men look. 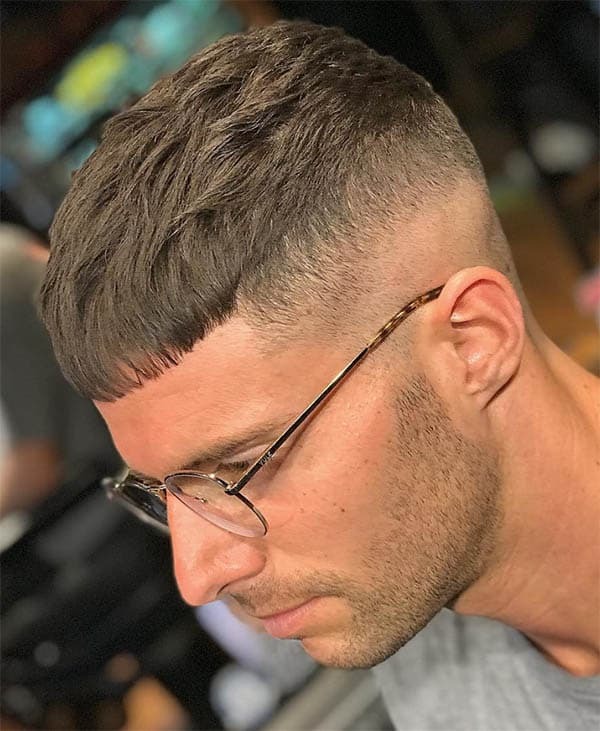 In this marine haircut, you are given a bold look with a hairstyle that is razor shaped completely except for the horseshoe shaped section left on the forehead. This kind of hairstyle is sure to make you stand out among your equals. 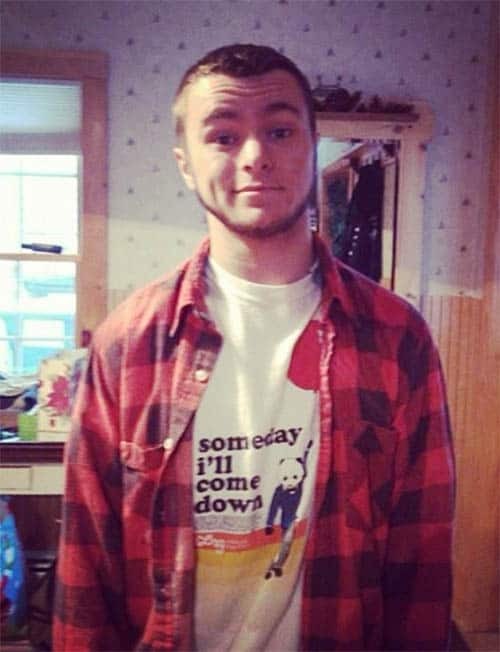 It is a slickly combed hair with straight parting and a razor fade on the left. It is a smart marine haircut you could go with anytime of the year. It makes you look smart and accords you respect among the people. It is a marine haircut you should try out for sure. This is a marine haircut that has its front hairs combed back while the side ones are brushed towards the center. 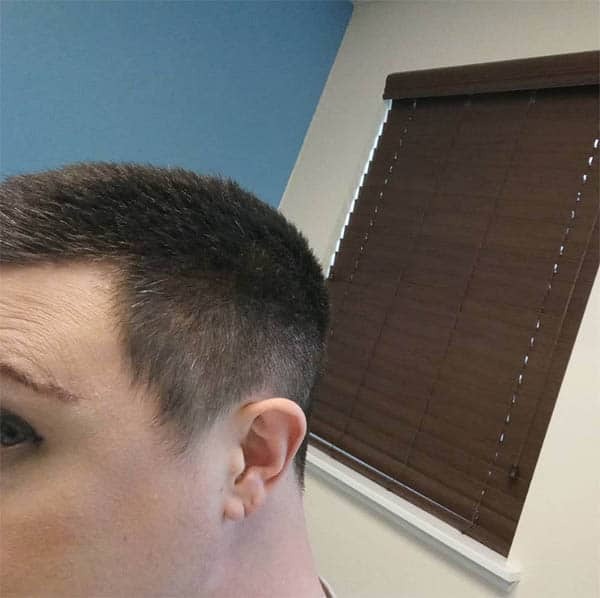 It features a clear parting on the left with a graded undercut. 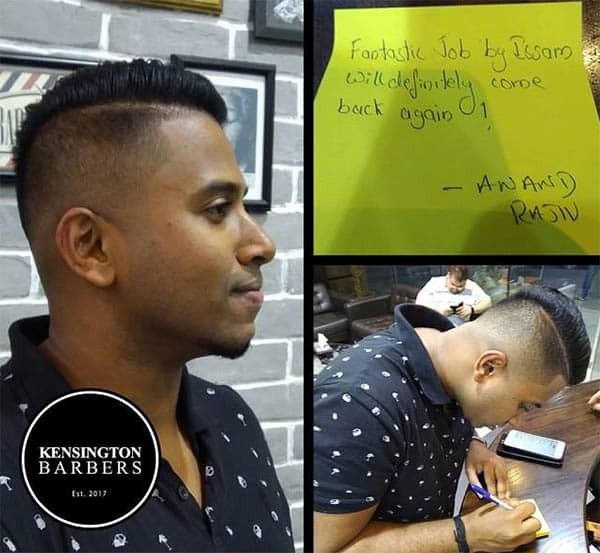 How about you checking this out and try it for your next haircut adventure? This is a perfect cut for the marine men which you can also dawn to give you the marine-like smartness. The hair on the left has been trimmed short while the right-side locks is brushed to the center. It is easy to achieve with the right tools. You would want to try this hairstyle, therefore, we have provided the link where you can see the image. 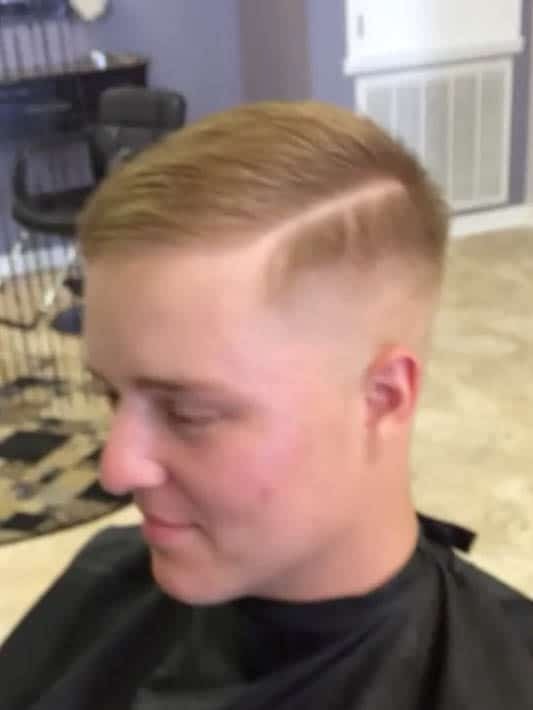 This is another marine haircut that gives you the military look with head razor shaved to exclude the frontier part with a horseshoe like shape. This is a marine haircut suitable for you if you have always wanted to be noticed in the crowd. Try it out today and see how great it looks on you. 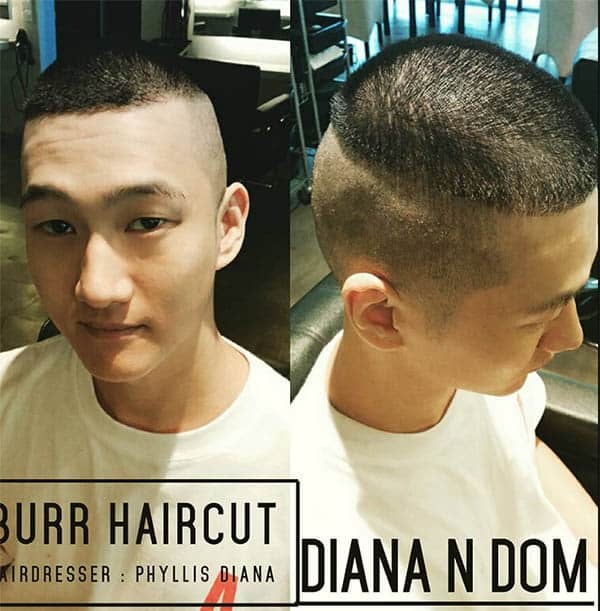 A marine haircut that requires regular maintenance to look fresh and neat. If you know you can still manage with going clean everyday, then this hairstyle is not a bad idea for you. Check it out and see whether you’d like this marine hairstyle or not. 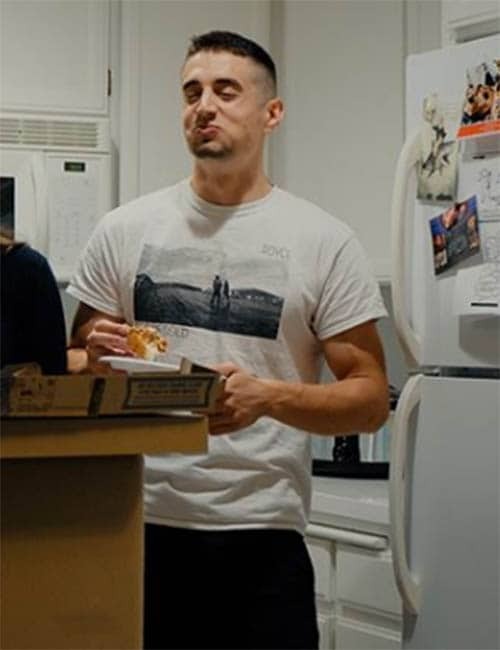 This kind of haircut is like the fade cut earlier discussed. 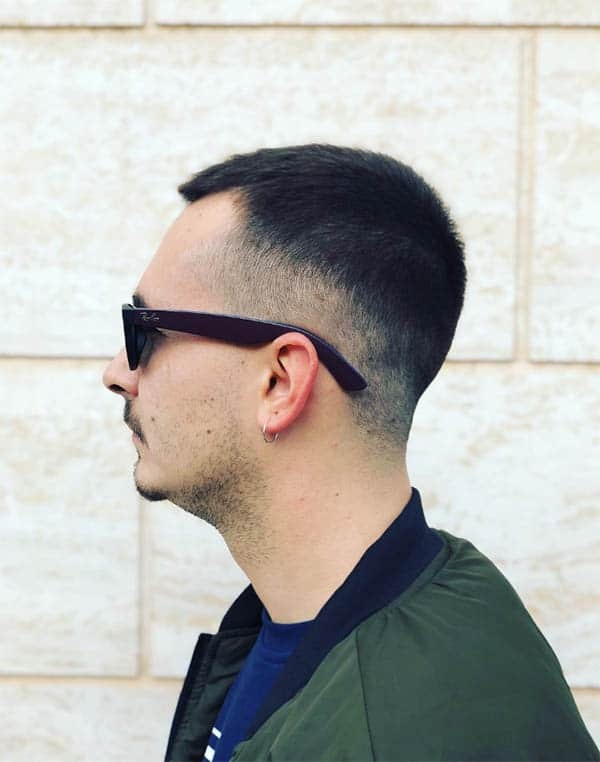 A marine haircut that gives you long hair on the crown while both sides blend with the skin, but in this case, there is a clear distinction between the hair at the nape and the sides. Try out this hairstyle to achieve the macho look you have always wanted. 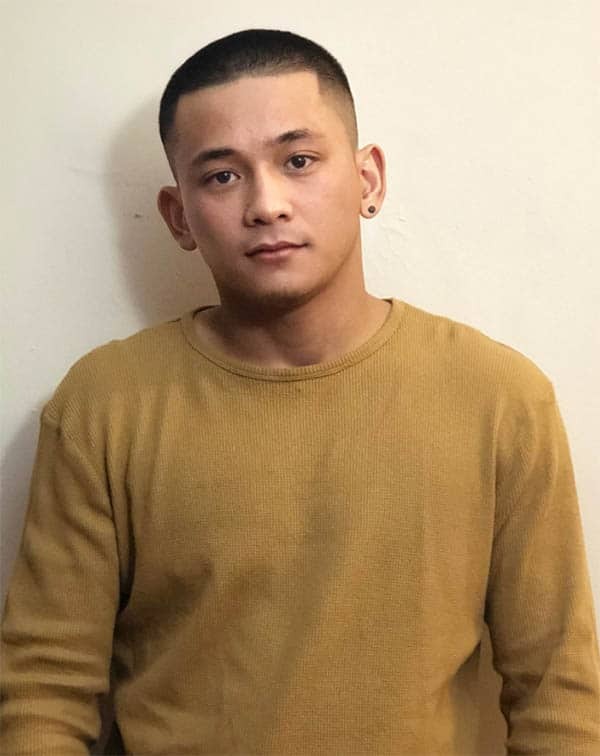 This marine haircut give a nearly bald look without skinning your hair completely. This hairstyle is easily achieved when a hair clipper is used unlike the razor shave hairstyles that has been discussed above. You can achieve the military smartness with this hairstyle on your next visit to the salon. However, you are advised to approach the best barber so that you can go home with the Burr look and not something else. 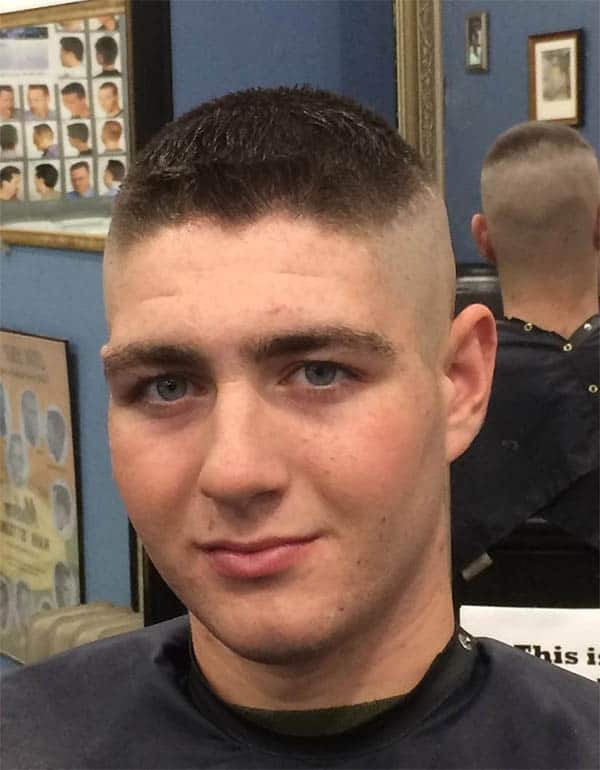 This marine haircut leaves the sides bare of hair while the head crown is left with plenty of it. The top is brushed cut so that the hair can come out flat on top. This is a great idea for marine cut you should try out if you indeed want to achieve that look of maturity among your pears. 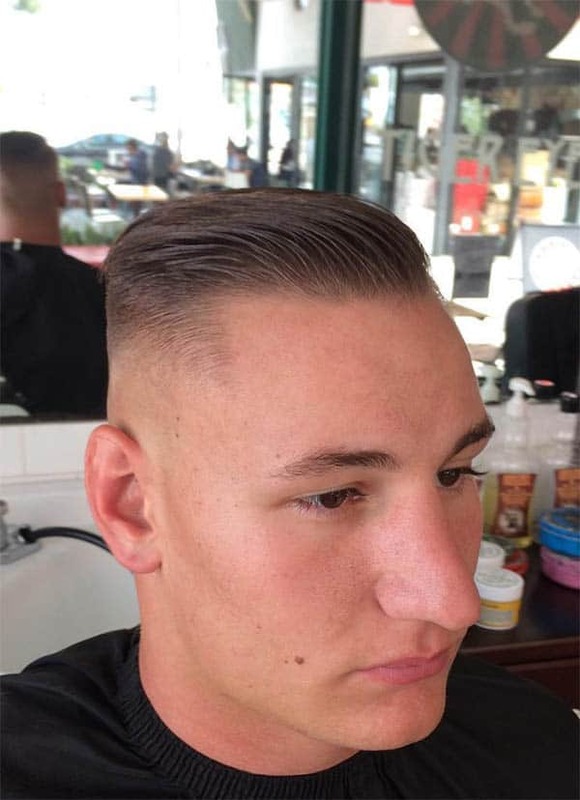 Another one on the list of nice marine haircut for men. 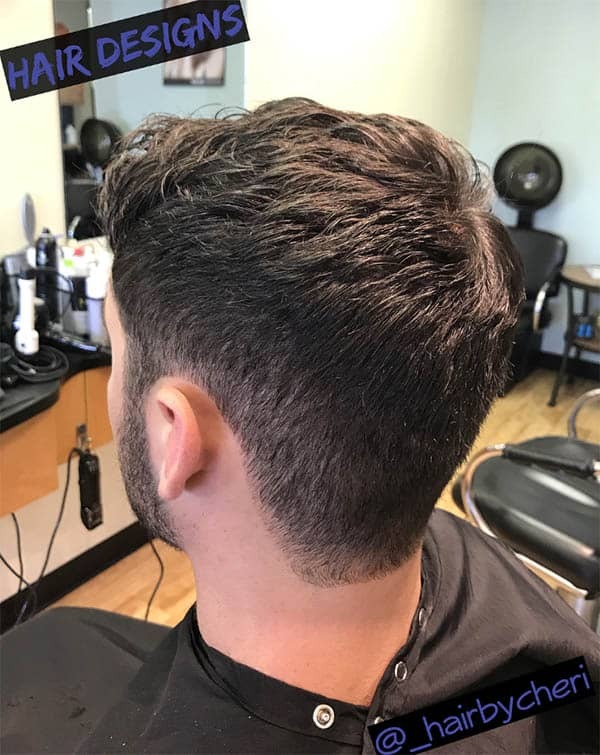 It is one of the oldest and can be achieved if you have a long hair because it requires trimming. Hair on the left is brushed off with clipper to blend with the hairs on top of the head which is brushed forward. 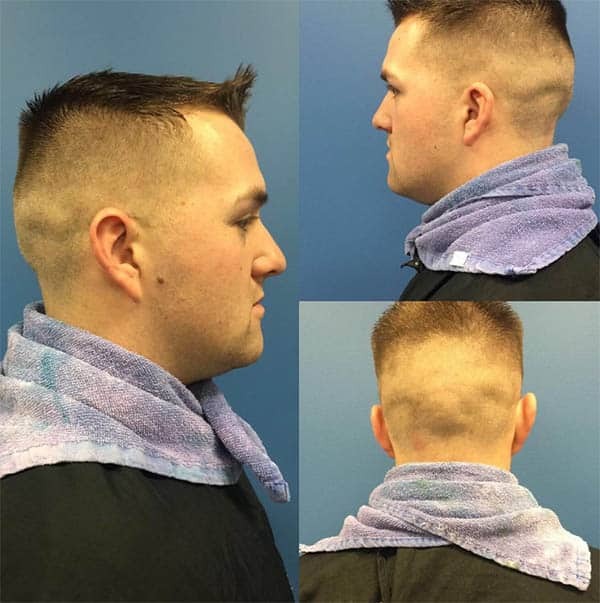 The traditional military haircut that is given on the first day of boot camp, this marine haircut is mostly barbed by men that wants to look simple yet stylish. It is nearly a bald cut just like the Burr Cut, but is clipper shaved and not razor shaved like the Burr. Try checking out induction marine haircut in the image given below. Dramatic undercut is good for people with curly hair. You can go for this marine haircut if you already have an extra sheen in your hair. It is barbed with the sides almost bare of hair and long hairs are left on front end of the head. It cascades recedingly towards the nape thereby giving a blend look towards that end. The end goal is to look good and presentable. The kind of hairstyle you go with tells a lot about your personality. It is one of the few things people will use to form their first impression of you. Therefore it is required that you deliberately choose the hairstyle that goes well with the way you want people to view you. 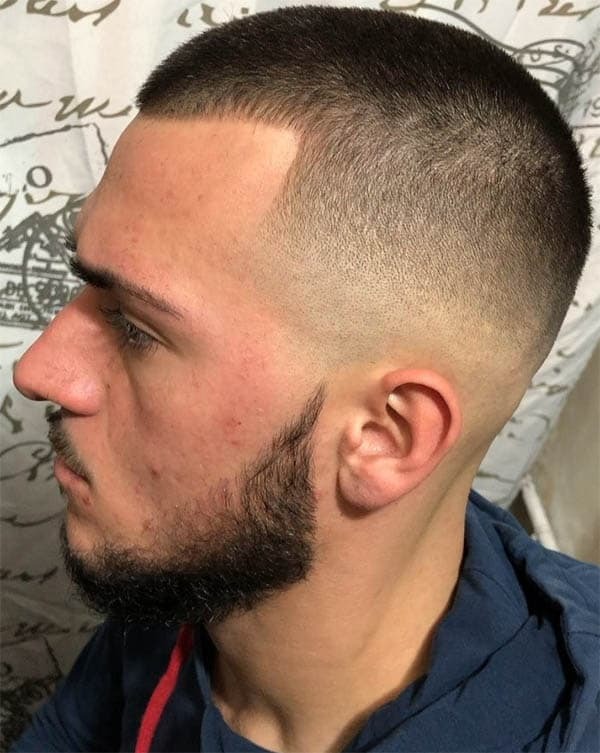 The marine haircut for men provided in this article gives you a lot of hairstyles you can choose from to give you the macho man look. You are advised to check out each of the 30 styles to find out what hairstyle suits you most in the ones provided.